As a student you will hardly stumble upon a professor who is an ocean lover, dedicated surfer and ambassador of nature in one person. Juan Jose “Juanjo” Trueba from the University of Comillas is such a guy: a stylish surfer, an academic and a man with one vision: Europe’s surf breaks being protected by law and declared “patrimonio” (heritage) one day. Over decades we have seen so many surf breaks around Europe’s pristine coast vanishing: On the Canary’s, in the Basque Country, in Cantabria. Look at whatever region and you’ll find so many jewels of nature to be gone forever. The reason? Most of the time it’s dredging of sand to broaden or deepen port entrances, or the construction of harbor walls to protect incoming ships from swells. And then there is also the spoiling of waste and toxic substances that make it almost impossible to surf at many beaches. “Ocean waves – as part of our life and part of the coastal environment – have to be protected” states Juanjo digging deeper: “We have to get governments and organizations and the local population around surf breaks recognize their beaches as a heritage and a social-economic resource. Most importantly waves have to be seen as a natural phenomena belonging to the beach. We must not destroy more of them!”. Waves are there and sometimes they aren’t – So how to protect something that is so volatile? But can a piece of paper really protect our beloved surf breaks? So far, the manifesto was accepted by all surf federations of Spain. Juanjo gets calls from many officials around the country. 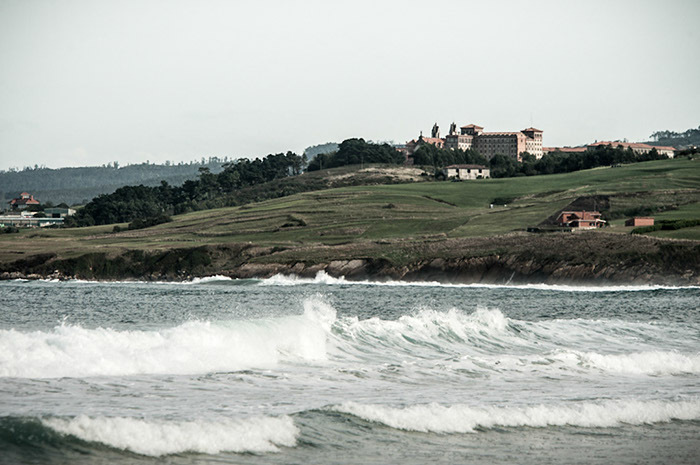 Ribamontan del Mal (Cantabria) was recently declared 1st Spanish surfing reserve. Juanjo does not know if his work will help to protect the ocean in the end, nonetheless he is happy trying to do so.